New Sustainable Seafood Now Available! This week’s store has me bursting with excitement! We just added a huge variety of new sustainable seafood options, and we have Captain Tony’s salmon from Wild Alaska Salmon and Seafood back in the store! I’m loading up my bin with everything from canned tuna to seafood soup to salmon fillets. With February being American Heart Month, it couldn’t be a better time to stock up on heart healthy seafood, especially those that are packed with omega-3’s! Omega-3 fatty acids are essential to the body and deliver some big health benefits. Not only do they decrease our risk of heart disease, but they also promote brain health (in all stages of life) and improve eye and skin health—just to name a few! The longer chain (EPA and DHA) are the form that the body uses and are found in cold-water, fatty fish like salmon, sardines, and tuna, and we have sustainable sources of all three! 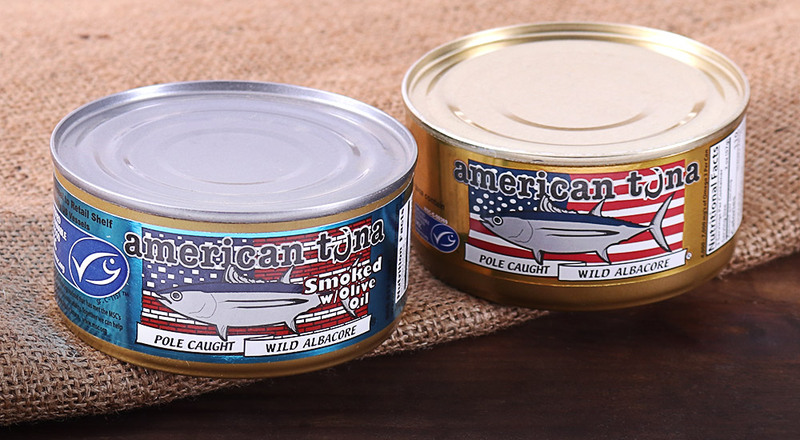 American Tuna is pole and line caught, wild Albacore tuna from the Pacific coast. It is 100% American made, sustainable, traceable, tested safe (mercury), and 3rd party audited. It is owned by American fishermen and helps to support the preservation of artisanal fishermen, micro-canneries, and fishing families that helped pioneer the west coast tuna fishing. All their tuna is packed by hand raw, sealed, then pressure-cooked, packing itself in its own fish oil. There is no added oil, water, soy, fillers, or preservatives. This packing method helps to preserve the omega-3’s—7,800mg in a 6-ounce serving, and is designed for no draining—just mix in the oil from the can while breaking up the meat. American Tuna is packed with protein—42 grams in a 6-ounce serving and makes for a super convenient lunch that will help you stay full, focused, and heart healthy!! Cox Seafood is a domestically owned shrimp processing company that provides premium domestic, wild-caught, and sustainably raised shrimp from the Gulf of Mexico and the Southern Atlantic. Cox Seafood is one of the leaders in the conservation and sustainability of all species of shrimp harvested in the Gulf of Mexico and South Atlantic for over three decades. They are members of Ocean Trust and National Fisheries Institute and they collaborate with the Sustainable Fisheries Partnership. Through their partnerships they have helped to establish a 3-million-acre sanctuary which is home to the smaller shrimp that will become next year’s crop. Shrimp is very nutritious. It provides a high amount of protein and healthy fats, in addition to a variety of vitamins and minerals. Three ounces of shrimp contains 50% of your daily selenium which helps reduce inflammation and promotes heart health. Shrimp is also one of the best food sources of iodine which is important for proper thyroid function and brain health. I love the convenience that shrimp has to offer. 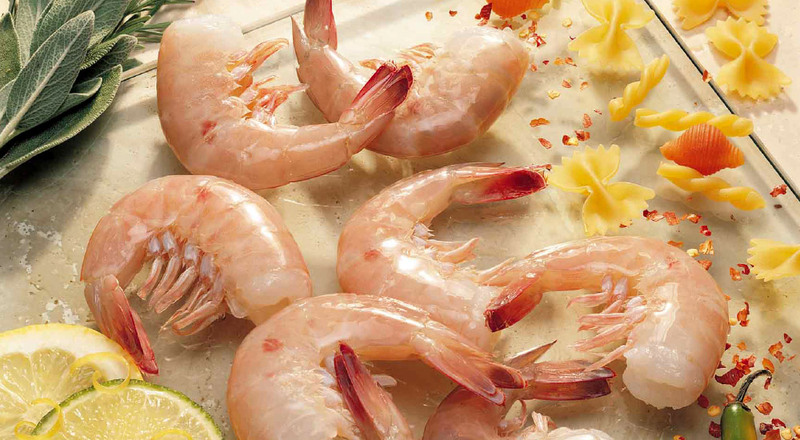 Shrimp can cook up in 5 minutes whether you are pan cooking, boiling, or baking in the oven. 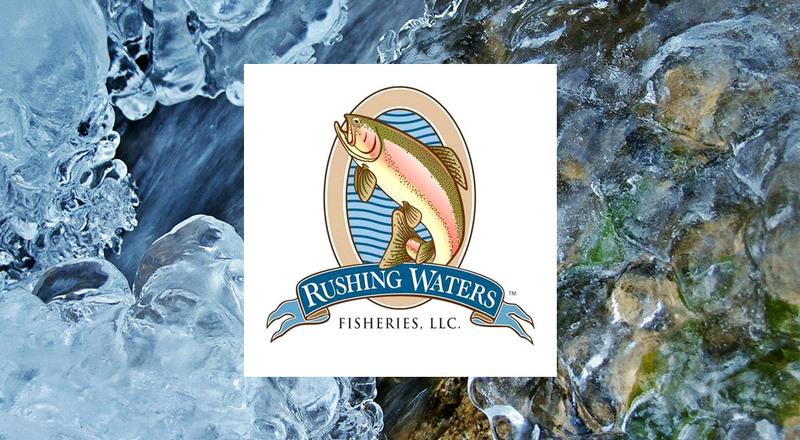 Rushing Waters Fisheries is in Palmyra, Wisconsin. They are in the Kettle Moraine State Forest and have been Wisconsin’s aquaculture leader for farm raised Rainbow Trout since the 1940’s. Artesian springs feed pure clean water through the farm’s 56 ponds and raceways. Their trout are raised in unique habitats that mimic their native environment. With grass boarders and earthen bottoms their ponds contain a diverse ecosystem of aquatic life and provide the trout with access to wild food sources. According to Seafood Watch, this is the “best choice” when it comes to farmed fish and their impact on the environment. We have added their Salmon Burgers which are made from scratch from wild-caught sockeye and/or coho salmon from Alaska. They are gluten free and cook up quickly in a skillet on the stove top or on the grill. They are ready to eat in 15 minutes! Perfect for those weeknight dinners when you are in a hurry! 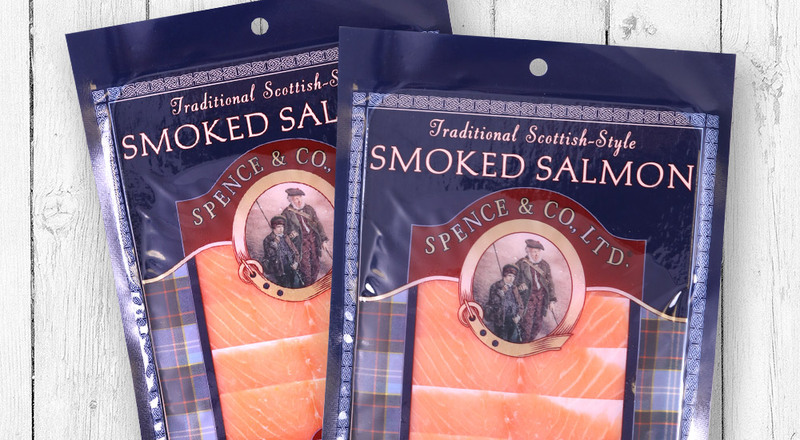 Spence & Co. specializes in the production of smoked salmon and seafood created in the Scottish tradition. Their products do not contain nitrates, nitrites, or any color enhancers. They are natural and free of preservatives! The Traditional Smoked Salmon is perfect with bagels and cream cheese, mixed into an omelet, or added to a fresh salad. I’m thrilled to have salmon fillets back in the store, and from our good friends—Tony and Heather! Salmon fillets are so quick and easy for week night meals. A quick broil in the oven and you have your protein source ready to go in 5 minutes! 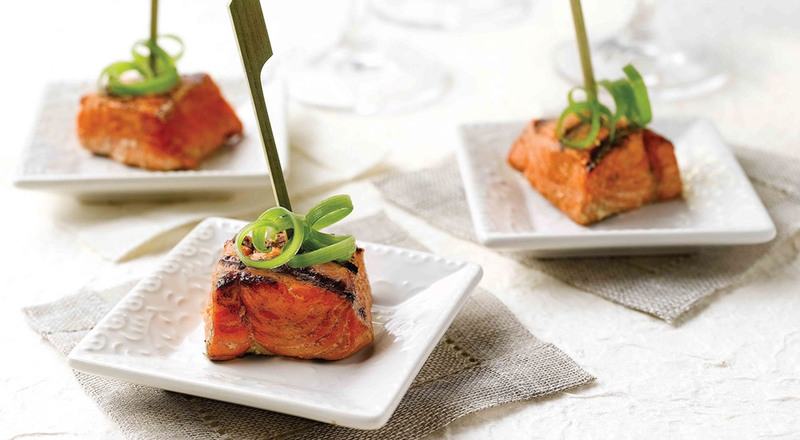 And, let’s talk about how incredibly healthy wild caught sockeye salmon is for you—a 3-ounce portion provides 16 grams of protein and 800mg of omega-3’s. Here is a recipe from Wild Alaska that takes 30 minutes to make and can be used as an appetizer or a main dish. I like to make these salmon bites and add them to a rice bowl which makes a quick, healthy weeknight dinner.